Join us for a 15th anniversary celebration screening of NIGHT MARKET HERO on Oct. 21 at 8PM. In celebration of our 15th anniversary, Reel Asian is presenting a FREE screening and Canadian Premiere of NIGHT MARKET HERO! 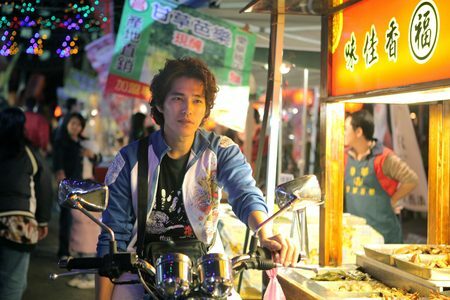 Tien-Lun Yeh’s debut feature, Night Market Hero (Fried Chicken Hero in Mandarin), is a heartwarming story about the battle of an outrageous group of food vendors against political and bureaucratic corruption. But the vendors face larger worries when they learn that a real estate company is planning to build a mall where the market is located. Their livelihoods are at stake, and they realize that they must work together or be pushed out. The 888 vendors work with the media to reveal their stories of hardship and family dreams, hoping to win the hearts of the public and thus save their way of life. Known for their mouth-watering delicacies, cheap goods, and colourful atmosphere, night markets are a central part of Taiwanese culture. This nostalgic comedy was inspired by the director’s experiences as part of the Night Market Vendor Theatre Troupe and was co-written by his sister, Tan-Ching Yeh. In an effort to make the performances more authentic, the director had the actors learn the skills of traditional night market vendors, like how to deep-fry chicken steaks and how to perfect the art of Chinese facial threading.